This is what I’ve been mostly doing since Christmas. I found the pattern in a book, originally for a cushion and decided to make a massive blanket (well it feels massive while I’m crocheting, in reality it will cover our double bed). I chose lots of bright colours as normally I go for calming colours. I think I have about 16 different colours! Once I worked through them for the first time, I realised that some of the colours didn’t fit as well as I wanted them to so the second time I’m juggling them about a bit. I’ve worked out that I probably only need to work through all of the colours 4 times in total, although you never know, I might keep going! In a previous post, I said that my aim for this year was to only use wool from my stash. 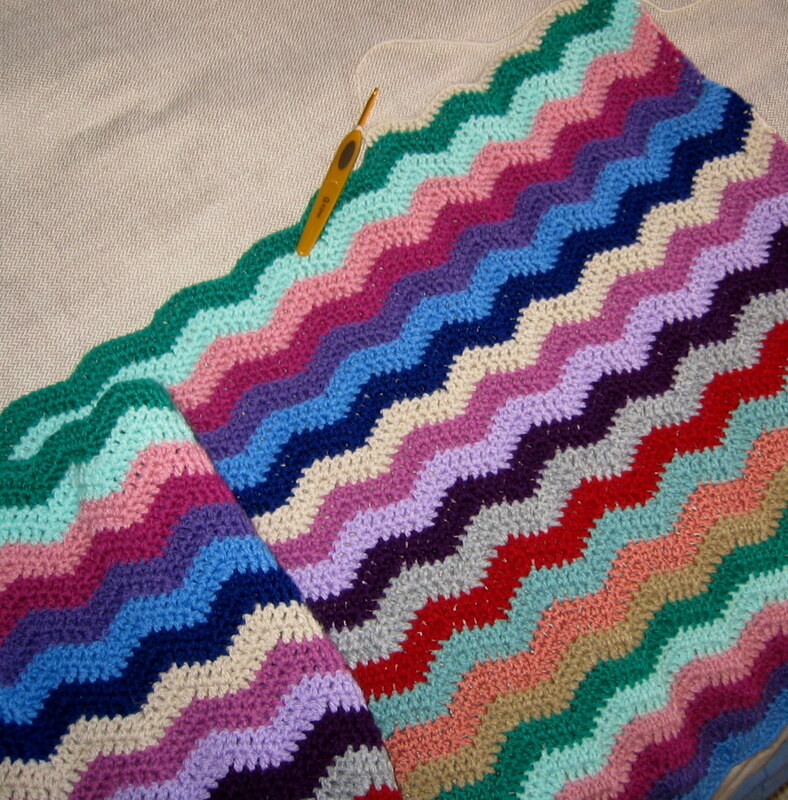 I have to admit that the wool for this blanket did not come from my stash. I was a Christmas present, although I chose and bought the wool in the January sales. I don’t feel too bad about it though! lol. This really is a labour of love and I and loving doing it. I will keep you posted with my progress!